Emphasis on enforcement of the Code has been eliminated. But, the PRSA Board of Directors retains the right to bar from membership or expel from the Society any individual who has been or is sanctioned by a government agency or convicted in a court of law of an action that is not in compliance with the Code. FREE FLOW OF INFORMATION: Core Principle Protecting and advancing the free flow of accurate and truthful information is essential to serving the public interest and contributing to informed decision making in a democratic society. Intent: To maintain the integrity of relationships with the media, government officials, and the public. To aid informed decision-making. Guidelines (a member shall): Preserve the integrity of the process of communication. Be honest and accurate in all communications. Act promptly to correct erroneous communications for which the practitioner is responsible. Preserve the free flow of unprejudiced information when giving or receiving gifts by ensuring that gifts are nominal, legal, and infrequent. Examples of Improper Conduct Under this Provision: A member representing a ski manufacturer gives a pair of expensive racing skis to a sports magazine columnist, to influence the columnist to write favorable articles about the product. A member entertains a government official beyond legal limits and/or in violation of government reporting requirements. COMPETITION: Core Principle Promoting healthy and fair competition among professionals preserves an ethical climate while fostering a robust business environment. Intent: To promote respect and fair competition among public relations professionals. To serve the public interest by providing the widest choice of practitioner options. Guidelines (a member shall): Follow ethical hiring practices designed to respect free and open competition without deliberately undermining a competitor. Preserve intellectual property rights in the marketplace. Examples of Improper Conduct Under This Provision: A member employed by a "client organization" shares helpful information with a counseling firm that is competing with others for the organization's business.A member spreads malicious and unfounded rumors about a competitor in order to alienate the competitor's clients and employees in a ploy to recruit people and business. DISCLOSURE OF INFORMATION: Core Principle Open communication fosters informed decision making in a democratic society. Intent: To build trust with the public by revealing all information needed for responsible decision making. Guidelines (a member shall): Be honest and accurate in all communications. Act promptly to correct erroneous communications for which the member is responsible. Investigate the truthfulness and accuracy of information released on behalf of those represented. Reveal the sponsors for causes and interests represented. Disclose financial interest (such as stock ownership) in a client's organization. Avoid deceptive practices. Examples of Improper Conduct Under this Provision: Front groups: A member implements "grass roots" campaigns or letter-writing campaigns to legislators on behalf of undisclosed interest groups.Lying by omission: A practitioner for a corporation knowingly fails to release financial information, giving a misleading impression of the corporation's performance.A member discovers inaccurate information disseminated via a website or media kit and does not correct the information.A member deceives the public by employing people to pose as volunteers to speak at public hearings and participate in "grass roots" campaigns. SAFEGUARDING CONFIDENCES: Core Principle Client trust requires appropriate protection of confidential and private information. Intent: To protect the privacy rights of clients, organizations, and individuals by safeguarding confidential information. Guidelines (a member shall): Safeguard the confidences and privacy rights of present, former, and prospective clients and employees. Protect privileged, confidential, or insider information gained from a client or organization. Immediately advise an appropriate authority if a member discovers that confidential information is being divulged by an employee of a client company or organization. Examples of Improper Conduct Under This Provision: A member changes jobs, takes confidential information, and uses that information in the new position to the detriment of the former employer.A member intentionally leaks proprietary information to the detriment of some other party. CONFLICTS OF INTEREST: Core Principle Avoiding real, potential or perceived conflicts of interest builds the trust of clients, employers, and the publics. Intent: To earn trust and mutual respect with clients or employers. To build trust with the public by avoiding or ending situations that put one's personal or professional interests in conflict with society's interests. Guidelines (a member shall): Act in the best interests of the client or employer, even subordinating the member's personal interests. Avoid actions and circumstances that may appear to compromise good business judgment or create a conflict between personal and professional interests. Disclose promptly any existing or potential conflict of interest to affected clients or organizations. Encourage clients and customers to determine if a conflict exists after notifying all affected parties. Examples of Improper Conduct Under This Provision: The member fails to disclose that he or she has a strong financial interest in a client's chief competitor.The member represents a "competitor company" or a "conflicting interest" without informing a prospective client. ENHANCING THE PROFESSION: Core Principle Public relations professionals work constantly to strengthen the public's trust in the profession. Intent: To build respect and credibility with the public for the profession of public relations. To improve, adapt and expand professional practices. Guidelines (a member shall): Acknowledge that there is an obligation to protect and enhance the profession. Keep informed and educated about practices in the profession to ensure ethical conduct. Actively pursue personal professional development. Decline representation of clients or organizations that urge or require actions contrary to this Code. Accurately define what public relations activities can accomplish. Counsel subordinates in proper ethical decision making. Require that subordinates adhere to the ethical requirements of the Code. Report practices not in compliance with the Code, whether committed by PRSA members or not, to the appropriate authority. Examples of Improper Conduct Under This Provision: A PRSA member declares publicly that a product the client sells is safe, without disclosing evidence to the contrary. 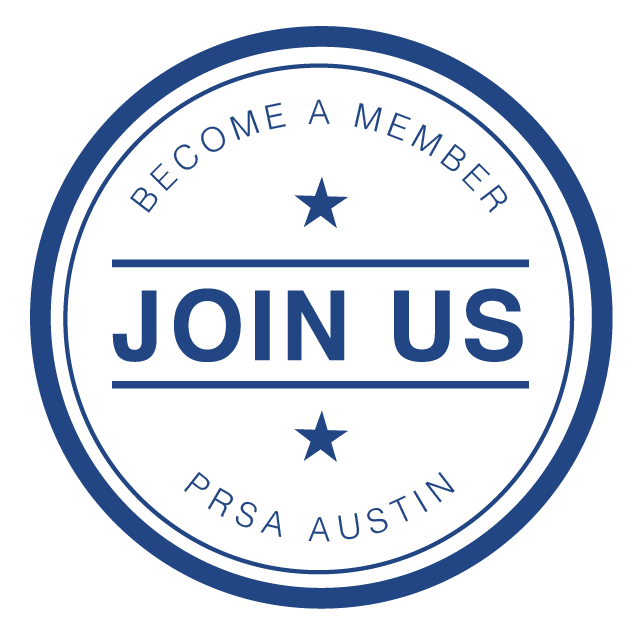 A member initially assigns some questionable client work to a non-member practitioner to avoid the ethical obligation of PRSA membership.